Tracking your time is a great way to uncover where you spend it. But the task itself shouldn’t waste your time. 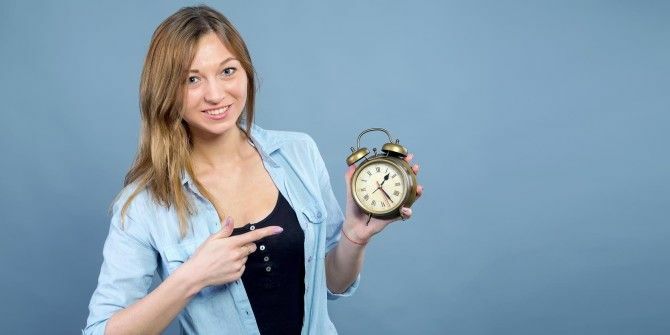 Are you ready to put away the spreadsheets, log books, and notepads for the task of time tracking 9 Best Time Management Tools for Staying Organized 9 Best Time Management Tools for Staying Organized The time management tools shown here will assist you with making the most of your days. Suitable for any business or personal situation. This is the time to organize your life! Read More ? Or maybe you have struggled to find a tool that has everything you need. We show you how time tracking can benefit you, what you should look for in time tracking software, and the best cross-platform application we could find for the job. If you’re working on many different projects or tasks, time tracking is an essential element to success Feeling Overwhelmed? Stop! 4 Time Management Tools to Save You Feeling Overwhelmed? Stop! 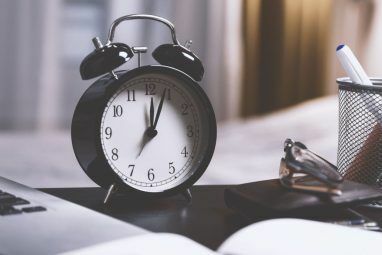 4 Time Management Tools to Save You Do you struggle to stay productive because your mind keeps wandering to deadlines, appointments, or pressing tasks? We show you smart time management tools that will help you relax, re-focus, and get things done. Read More . As a freelancer, for example, you may track the time you work for various clients. Time tracking is beneficial to productivity and efficiency for a variety of reasons. Helps you to focus on the current task. Lets you record accurate time for billing. Assists you with managing your time by seeing where you spend it. Allows you to better estimate future similar tasks. Helps you to see where your team spends its time. Lets you look at possible process improvements. Assists you with project schedules and timelines. Allows you to estimate upcoming similar projects. Whether you bill by the hour or month and work alone or have a team, it is easy to see the advantages of time tracking. And, it is crucial that you use a reliable, robust tool. Here is a list of features you should look for in a time tracking application. Basic tasks — You should be able to perform the basics such as manual or automatic entries, edit and delete functions, and archive options. Ease-of-use — You should be able to track your time simply and quickly. Broad availability — You should be able to access the tool on a variety of platforms including web and mobile. Intuitive reports — You should be able to clearly view previous time entries for multiple time periods. 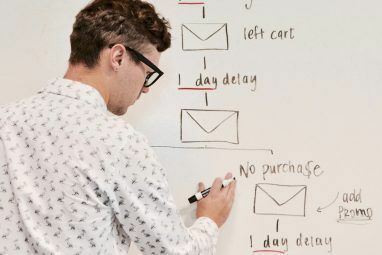 Integration — You should be able to connect the tool to other applications when necessary, like project management software and task list applications. Team management (when applicable) — You should be able to activate and deactivate users, provide different access levels, and set up user groups. If you are ready to boost your productivity Learn To Be On Top Of Your Business With The Productivity Hacks Bundle Learn To Be On Top Of Your Business With The Productivity Hacks Bundle Read More by tracking your time, then we have a great tool for you and it is called Toggl. Toggl is an easy-to-use time tracking application with extensive features. It offers cross-platform support, including mobile and desktop apps (for links links see Availability below), browser extensions, reports, automatic and manual time entries, project and team management, and many integration options. The application provides so many useful features for free, but also gives you more with the paid plans. For businesses and professionals with billing needs, for example, these paid plans currently start at just $10 per month. You really get a complete package when it comes to time tracking with Toggl. The number of features available provide reliable time tracking, convenient organization, and simple customization. 12- and 24-hour time formats. An Autotracker using triggers (desktop applications). A Pomodoro timer One Easy Way to Make the Pomodoro Technique More Engaging One Easy Way to Make the Pomodoro Technique More Engaging If you're a Pomodoro fan, you can opt to use a simple timer -- or you can use something else that might just boost your productivity even further. Read More (browser extensions, desktop applications). If you use Toggl for free, you can access summarized, detailed, and weekly reports. You can also check out a quick view of activity on your online Toggl Dashboard. You can pick a day, week, month, or year, and also compare it with the previous period. If you or your company are interested in a paid plan for Toggl, you can receive additional reporting features. These options include billable rates, export options, rounding, bookmarked reports, and the inclusion of your company logo 5 Sites to Learn About and Create Business Logos 5 Sites to Learn About and Create Business Logos Today Cool Websites and Apps points out a few sites that offer you free logos to use as you wish, or that give you insight into the branding that you're already surrounded by. Read More . The reports are intuitive and let you view data in both a graph and a pie chart. You can filter the graph information by team, client, project, or tag. For the pie chart, you can group the details by project, client, or user and then sort by item title or duration. All of these options give you a terrific view of your items without complicated settings or hard-to-understand diagrams. Toggl offers project management features that are handy for both teams and individuals. You can create an unlimited number of projects and clients. You can also assign colors for easy organization and archive projects that you no longer need. For in-depth project management A Guide to Trello for Life and Project Management A Guide to Trello for Life and Project Management Trello can help you get organized. It's a free tool to manage any kind of project. Read this guide to understand its basic structure, the navigation, and how Trello can be useful to you. Read More , you can review paid plans that include time estimates with alerts, sub-projects, and a special project dashboard. Whether you work with two or 20 people, you can invite team members to your Toggl Workspace. This provides a team dashboard, adjustable access levels, and user group options. And when viewing reports, you can quickly see activity from others on your team. The free plan covers teams of up to five members. For larger groups or businesses, you can have an unlimited team size along with the options to edit member profiles and add time for team members. Toggl integrates with many applications for large teams and companies. You can easily connect to Salesforce, GitHub, Asana, Basecamp, and Zendesk, just to name a few. 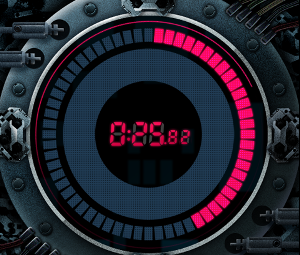 You also have the options to build a custom time clock widget with Toggl’s public API. For smaller teams or freelancers, you connect Toggl to tools such as Wunderlist, Todoist, Google Drive, Remember The Milk, and Evernote. You might be interested in additional Chrome add-ons like tracking the time you spend in WordPress, responding to client emails in Gmail, or how long you are in Google Inbox. Some integrations can be accomplished directly through the application while others just require an add-on. For example, you can visit your Zapier account to connect the two tools, but for GQueues you would use the Chrome Toggl Button extension. Toggl is conveniently available on Android and iOS mobile devices. You can also download the desktop application for Windows, Mac, or Linux. And for browsers, you can install the Toggl extension for Firefox or add-on for Chrome. Even though the application is super easy to use, if you are new to Toggl, here are a few tips and tricks to keep in mind. Easily restart the timer if an entry requires additional time. Create different workspaces online to organize companies and teams. Right-click text in Firefox or Chrome and select Start Timer from the context menu for quick access. Visit the Information Center for help, feedback, or questions. Check out the Toggl Blog for news, updates, and tips. Are You Ready to Give Time Tracking a Try? With its intuitive interface and extensive features, Toggl is an application that will ease your time tracking efforts. If you are a current Toggl-er and would like to share your thoughts about it, we would love to hear from you! And if you decide to give time tracking a go (whether you choose Toggl or another tool) then pop back over to MakeUseOf and let us know what you think of it. Which tools have you used to track your time? If you have used Toggl, what feature makes it most useful to you? The ratings for the Android app are terrible, it seems that for years they could not produce a stable Android app. Anyone has direct experience with that?